1.Use your dictionary to match the words with their definitions. 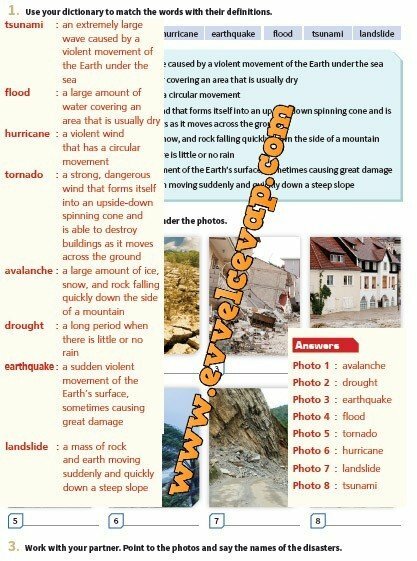 Write the names of the disasters under the photos. Work with your partner. Point to the photos and say the names of the disasters.